About a month ago, OnePlus CEO Carl Pei announced that everyone will be able to buy a OnePlus 2 during a time-limited open sales window. Just recently, the manufacturer has announced the exact date and time for this flash sale. On Monday, the OnePlus 2 will be available for purchase at 12:00 in various corners of the world. In the US, the sales will open at 12:00 PDT / 3:00 PM ET and will close an hour later, at 1:00PM PDT / 4:00PM ET. In Europe, the sales will start at 12:00 CEST. In Asia, the open sales hour starts at 12:00 HKT. One very important detail to bear in mind is that the open sales window will be region locked, meaning that US residents will only be able to purchase the handset in the dedicated US time window. In India, the phone will be available for purchase from Amazon.in, the exclusive seller in the country. Customers from other places around the world, including the US, will have to purchase the OnePlus 2 directly from the manufacturer's website. Priced starting at $389, the smartphone comes with a range of high-end specs, such as a 5.5-inch display with a resolution of 1080 by 1920 pixels, a Qualcomm Snapdragon 810 chipset paired with 3GB of RAM, 16GB of internal storage space, a 13MP primary camera as well as a fingerprint reader integrated in the physical home button. In terms of design, the OnePlus 2 comes with a metal frame and a Sandstone back cover. For much more details about the handset, make sure to head on over to our OnePlus 2 review. It's a long read, but you have three days to make up your mind about getting the OnePlus Two during Monday's flash sale. 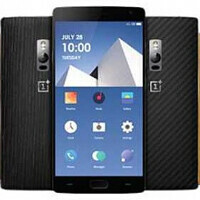 Back when OnePlus announced its decision to openly sell the OnePlus 2 for a short period, the company said that this flash sale will be its way of making up for a significantly delayed launch of its recent "Flagship Killer". Will you get over the frustratingly limited availability of the phone and purchase the OnePlus 2 this Monday? Funniest thing is that phone has a s**t ton of issues. weren't they fixed in the latest software update? I am using oneplus 2 and don't have any issues. Yeah maybe they've got like a hundred for sale before they run out and start that ridiculous invite system again. I'm sure they have plenty to sell. I received an invite and decided against ordering. I'm sure plenty of people passed on the "opportunity." I realized that the BLU Pure XL, 2015 Moto X Pure Edition and Nexus 6P were all better deals than the OnePlus Two. I REALLY love my OnePlus One and I'm going to have a hard time parting with it. But it's time for some new hardware. $389 is definitely cheaper than most SD 810 out there but not worthy. Couple of questions: -Can you buy this with a debit card or only credit? -How long is shipping for the phone once bought? BLU Pure XL. Capacitive Buttons, cheaper and better specs. Why would I want a 6" phone when I just said 5.5" was too big? I just fell out of love with them after OPO, which I bought and was great. They just can't seem to keep the hype train going long enough. And it'll take a miracle for them to stay in the market alongside Apple and Samsung when everyone else is out of business...hah! ont plus two = three, why dont they just call it the three? You can buy the phone but you will need an invite to have it shipped. Rather get a customized Moto X Pure for the same price and just wait for the shipment and not have to schedule my life around purchasing a phone. People are still buying this thing? Soo Much Hate.! Still considering this phone has a flagship spec. for 389 is good. Its not the perfect phone, Not the best. But for the price i cant seem to find an alternative. Moto x pure or style doesnt have fingerprint. NexusP 64gb costs over 200usd more in my country. Blu pure xl costs over 150usd more in my country. And it comes with a 3 times weaker gpu which will start to matter in 6 months. + No software updates like ever. OPT seems like the best option for now. Got [s]hit on the Moto X Pure Edition.